Current Projects - Morris Management, Inc. CONTACT US FOR MORE LEASING INFORMATION ON LOGAN TOWN SHOPPES. 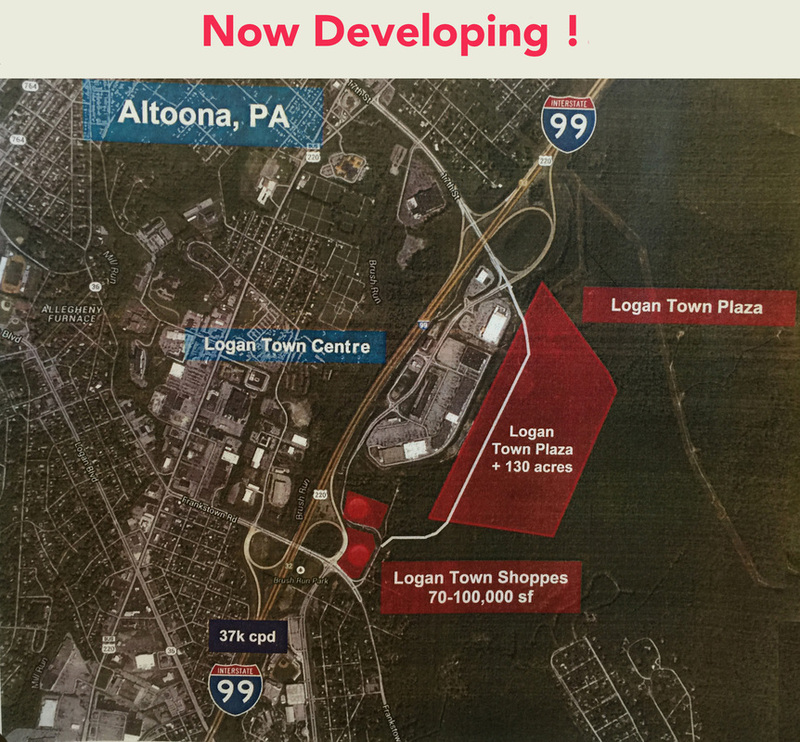 LOGAN TOWN PLAZA is a new Morris Management, Inc. development that is currently being designed and leased out on the 130+ acres located directly behind Logan Town Centre, Altoona PA and between the 17th Street and Frankstown Road I-99 Exits. LOGAN TOWN PLAZA will create approximately 4000 new jobs for Blair County and will feature some of the best National Chain Retailers in the U.S., including some very exciting national Anchor tenants. TYRONE TOWN SHOPPES is a 20 + Developable Acres at the Tipton INTERSTATE 99 Exit (future TYRONE TOWN SHOPPES) 1/2 mile from Tyrone, Pa.
GREG MORRIS , President OF MORRIS MANAGEMENT, INC.
President of Morris Management, Inc.